Application Dates: We will accept applications and/or resumes throughout April. The ideal candidate can start May 1, 2014 or sooner. 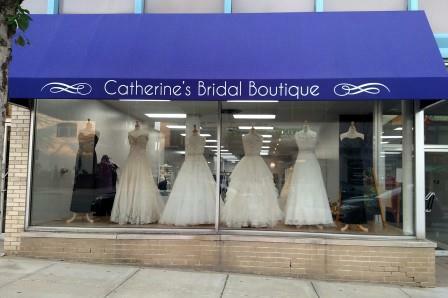 Description: Catherine’s Bridal Boutique is looking for a high energy, self-motivated individual to join our team. This individual will help serve the mission of Catherine’s Bridal Boutique by entering, maintaining and organizing various data. A passion for integrity based data entry is a must. This is a part-time position that requires flexible hours. This position will provide administrative support to the customer service and sales team. Receive and verify orders. Unpack, box or ship gowns as needed. Catherine's Bridal Boutique is on a mission to revolutionize the wedding industry. We work as a team to create positive, lifetime memories for every guest that walks through our doors. We are passionate about weddings and special occasions of all sorts. We respect the fact that everyone who visits the store is preparing for a milestone in their lives. It is our honor to be a part of that milestone. If you would like to be a part of our team and help us create positive lifetime memories, we encourage you to apply for this position. We look forward to meeting you.